The discussion Bret Stephens had with his 10 year old son, is one every parent should be having with the very generation who has the most to lose if socialism really is implemented in America. As parents, we’re asked countless times by our children to explain ghosts, scary shadows on the walls, or some other imagined childhood fear. How many times however, do our children ask us to explain something that every American should truly fear? How many times do we have the opportunity to explain the reality of Socialism to our children? We Applaud Bret Stephens of the Wall Street Journal for the brilliant way he explained Socialism to his son. We thank him for sharing it with his readers. Noah, my 10-year-old son, was reading over my shoulder a powerful story about the state of medicine in Venezuela by Nick Casey in Sunday’s New York Times. We scrolled through images of filthy operating rooms, broken incubators and desperate patients lying in pools of blood, dying for lack of such basics as antibiotics. I told him it’s an economic system in which the government seizes and runs industries, sets prices for goods, and otherwise dictates what you can and cannot do with your money, and therefore your life. He received my answer with the abstracted interest you’d expect if I had been describing atmospheric conditions on Uranus. Here’s what I wish I had said: Socialism is a mental poison that leads to human misery of the sort you see in these wrenching pictures. The parliamentarian was Jeremy Corbyn, now leader of the Labour Party. There are lesser names to add to this roll call of dishonor— Michael Moore, Sean Penn—but you get the point: “Democratic socialism” had no shortage of prominent Western cheerleaders as it set Venezuela on its road to hyperinflation, hyper-criminality, water shortages, beer shortages, electricity blackouts, political repression and national collapse. Chávez and his successor, Nicolás Maduro, gained prestige and legitimacy from these paladins of the left. They are complicit in Venezuela’s agony. And so to the U.S. election, specifically the resolutely undead presidential candidacy of Vermont Sen. Bernie Sanders. The Sanders campaign is no stranger to accusations that its brand of leftism is cut from the same cloth that produced Chavismo. The senator protests too much. As mayor of Burlington, Vt., in the 1980s, he boasted of conducting his own foreign policy, including sister-city relations with Puerto Cabezas in Nicaragua and Yaroslavl in the Soviet Union. On a 1985 trip to Nicaragua, he lavished praise on Daniel Ortega’s communist regime—Chavismo’s older cousin. If Mr. Sanders ever rethought or recanted those views, I’m not aware of it. But the point isn’t what Mr. Sanders may have thought of the Sandinistas in the 1980s or the Chavistas in the past decade. It’s that the type of socialism that the senator espouses—$18 trillion in additional government spending over the next decade, accusations that Wall Street is a criminal enterprise and the continuous demonization of “millionaires and billionaires”—is not all that different from its South American cousins. Democratic socialism—whether Chavez’s or Sanders’s—is legalized theft in the name of the people against the vilified few. It is a battle against income inequality by means of collective immiseration. It is the subjugation of private enterprise and personal autonomy to government power. Mr. Sanders promises to pursue his aims on the Scandinavian model, as if that was a success, and as if Americans are Scandinavians. It wasn’t. We aren’t. 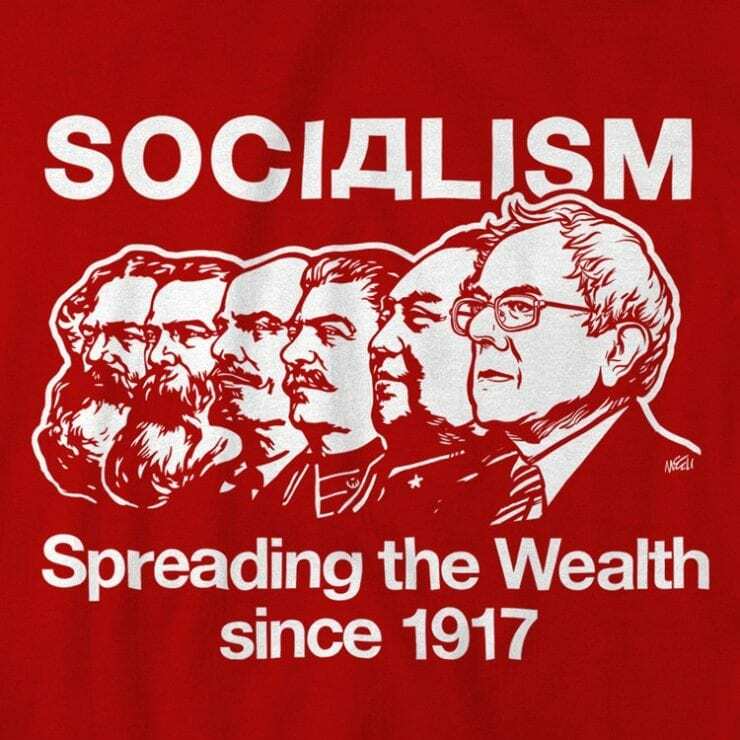 Bernie’s Way paves the same road to serfdom that socialism does everywhere. That’s a fact Americans might have learned after the Berlin Wall fell in 1989. We didn’t. Take the time to tell your kids what socialism is, and does, before they too feel the Bern.